Sometimes I run across photography based stories that are just too interesting not to share. This is one of them. Here is a story about a box discovered buried in Antarctica containing never before seen negatives from Ernest Shackleton’s 1914-1917 expedition that was stranded during a blizzard when their ship blew out to sea (they were ultimately rescued, but the negatives were left behind). Read about it here and get a closer look at some of the processed photographs here. More information about that expedition, known as the Ross Sea Party, can be had here. At first the two kissers were unknown and over the years there have been several people who have claimed to be the iconic couple…..in the end though, it is generally agreed upon that they are George Mendonsa and Greta Zimmer Friedman (though this is still contested). I came across an article I thought I would share that the sailor, George Mendonsa has passed away at age 95. The article is an interesting one, as is this one from Wikepedia that also talks about the other people who have claimed to be the couple in the photo. Many people are familiar with this iconic 1932 photograph by Charles Ebbets of 11 ironworkers having lunch atop a steel beam 800 feet above New York City. 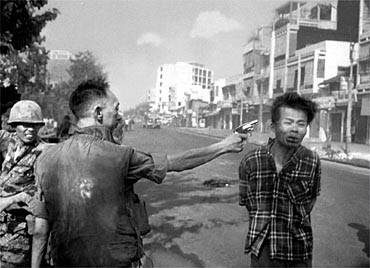 I ran across a wonderful video relating the backstory of this image and images like it. And yes, there were some photographers that walked out on the steel beams......let's just say that as someone who has difficulty with heights I would not have been one of them! It is a short five minute video that I really enjoyed and that I think is well worth watching! Who knew that Elton John was a collector of photography, and in a big way? Unfortunately, I couldn't figure out how to embed the five minute video, but this link will get you there, and it is well worth watching if you have an interest in either fine art photography or in learning more about Elton John! What an amazing collection......what are you still doing here, go watch the video! For background information about this project see my post entitled The Carrie Furnace Project. To hear the 1-2 minute audio content click on the link below the picture, which will open the audio content in a separate page. This post's audio content describes how the iron making process was essentially unchanged from the Civil War up until the 1980s. The Carrie Furnace, located in Rankine, PA, is a blast furnace that was used in iron production. It was built in 1881, and from 1907 to 1978 was able to produce up to 1250 tons of iron daily. The site, which at one time contained 7 separate blast furnaces, was bought by Andrew Carnegie in 1888 and was subsequently acquired by US Steel in 1901. In 1988 it was purcahsed by the Park Corporation and both Park and US Steel were to remediate environmental concerns. In 2005, Allegheny County bought the entire site from Park and there are hopes to develop it into a national historic landmark. The site is closed to the general public, and only furnaces 6 and 7 remain. However, I was able to go on a tour of the facility and take some photos (hand held). What remains is truly the 'stuff' of industrial abstract imagery. For more historical information see here. Who????? Say it slowly now....Sergei Mikhailovich Prokudin-Gorskii, who lived from 1863 to 1944. Sergei was apparently supported by Tsar Nicholas II to photograph Russia from 1909-1912. 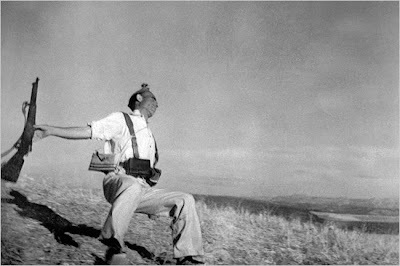 He used a very sophisticated camera to take three rapid, sequential black and white photographs, one using a red, one using a green, and one using a blue filter. He was then able to combine the images and display them with filtered lanterns to yield a final color image.....is this starting to sound like Photoshop channels, or what??? The more things change, the more they stay the same. The images are quite amazing, particularly given the era they come from. 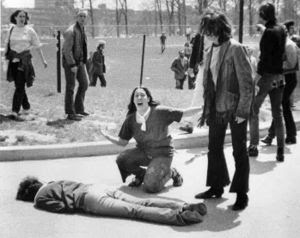 Here are two images and a link to the original boston.com story that displays 34 of the photographs. Of note, The Library of Congress purchased the glass plates in 1948, and there are hundreds of them to see. One of the fun parts about this was how I found out about the story. Isn't it a pleasure when your children grow to the point that they understand and respect your interests, even though it may not be their 'cup of tea'? Well, my son in college came across it while surfing the internet during a study break and sent me a link to it because he knew I would find it interesting. He was right and I thought I would share it on the blog! One of my blog posts that I most enjoyed writing was entitled “Photography And Truth”, which can be read here and here. These posts ultimately turned into an essay that was published on Uwe Steinmuller’s Digital Outback Photography website. In the essay, I mentioned that I was surprised that there was an expectation on the part of many, if not most, viewers that fine art photography should depict ‘the truth’. In reality, there are decisions made by the photographer including focal length, in camera cropping, and shooting in RAW format (to name a few) that explain why most photographs are ‘untruthful’ to at least some degree.. However, there are journalistic standards that move a photograph more (but not necessarily totally) towards depicting the world as it truly is. As the digital age progresses, there continues to be advancements in technology which allow for photographic 'doctoring' using methods that are increasingly subtle and difficult to detect. Interestingly, however, the concept of photographic manipulation is not a new one. In fact, such manipulations have been used since the earliest days of the medium. 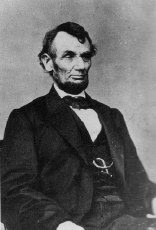 One of the most famous photographic portraits of Abraham Lincoln was actually a composite image of Lincoln's head atop John Calhoun's body (ironic, given that Calhoun was a staunch supporter of slavery), done to give the president a more 'heroic' appearance. 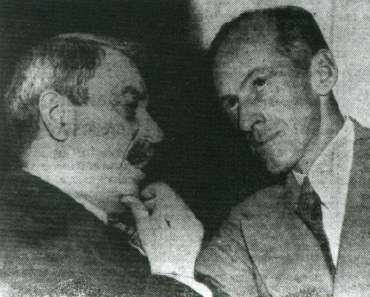 An image of Millard Tydings talking to Earl Browder, the leader of the American Communist Party at the time, played a role in his 1950 election defeat. The photograph is widely believed to be a fake composite. 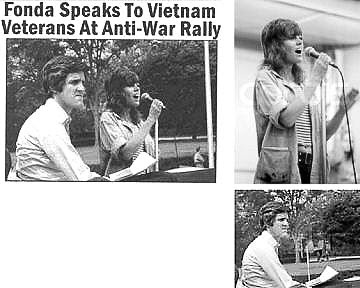 Similarly, a composite image of Senator John Kerry and Jane Fonda was surely not helpful to Kerry's political career. 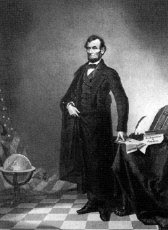 I find the use of 'doctored' photographs for political and sensationalistic purposes throughout history a fascinating topic and ran across two very interesting and informative papers dealing with the subject. Both were written by Dr. Hany Farid of Dartmouth University. The first paper, entitled "Digital Doctoring: Can We Trust Photographs" can be read here. The paper discusses these photos, as well as others, and also describes (using layman's language) various new methods of detecting fraudulent photographs. The article is in pdf format and can be downloaded. It makes for a fast, but very interesting, read on the subject. The second paper, entitled "Photo Tampering Throughout History", has several pages of examples of altered photographs, including many modern day images. Both papers are definitely worth taking the time to read! I have previously wriiten about Jeff Curto's two superb podcasts, The History Of Photography Podcast and Camera Position. I have been a bit behind in my listening, but in the car today had the chance to listen to the Febrauary 24th episode of Camera Position entitled The Camera In The Cathedral: Camera Position Goes Historical. The reason I thought that this particular episode should be mentioned is that it is specifically about the history of nature photography. It contains a lot of insights that were quite new to me about the interaction between the technological developments in photography and how they influenced the way in which nature was depicted photographically. 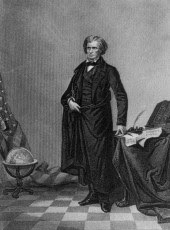 For example, it never dawned upon me that since the Daguerreotype was essentially a one exposure, one image technique (meaning that one was not able to make more than one image from each exposure; there was no ability to make copies of the images) nature images were not frequently made in the early years of photography. This is because nature photographs would typically need to be mass produced for others to see, while portraiture was generally considered to be an image to be given to a single person. Whet your interest? This episode is really fascinating and contains many interesting insights. Check it out here. Back in March, I wrote a blog post entitled "The Power Of The Still Frame". In that piece, I talked about the emotional impact of an individual photograph and its ability to freeze time, convey a message, and make a lasting impression. As part of that post, I included four photographs as examples of what I was referring to. Oddly enough, this past weekend I was able to view three out of these four images. Not only that, I was able to view every Pulitzer Prize winning photograph from 1942 (the year of the award's inception) to the present. "How? ", you ask. By attending a magnificent exhibit at The Heinz History Center in Pittsburgh, PA entitled "Capture The Moment: The Pulitzer Prize Photographs". The exhibit is a traveling one, so it may well also be coming to a city somewhere near you. Imagine seeing wall size photographs that take you through history along with information about each and every image. I am not talking about technical information, but, rather, a description of what was going on, a description of the photographers feelings, a description of how the photo came to be......mostly in the photographers own words. I don't believe there could be a better way to understand and connect with each image. And, like it or not, you will connect, and it's not all pleasant. In fact, most of it is unpleasant, to say the least. 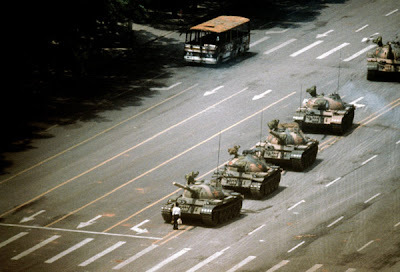 Remember, these are journaistic images. Executions, accidents, war......you will be reminded of just how terribly violent a species we can be. You will be brought back to events from your youth and, once rechallenged with these events, think about their meaning again and again. Prepare to have your emotions dragged around. You can't walk through the exhibit without getting tearful several times. It is perhaps futile for me to try to describe the feeling of viewing photo after photo of the events that have shaped our culture, our history and our lives. Multiple reviews in newspapers and on-line will undoubtedly do this better than I possibly could. Besides the intense experience of viewing the photos and trying to digest it all, there was another message that came through to me from a purely photographic viewpoint.......and by stating it I by no means want to detract from the emotional experience of the exhibit. It is just that everyone attending will understand the emotion, but perhaps not everyone attending will think about this: many of the images are less than technically perfect. Some lack perfect focus, some have suboptimal depth of field, some would have been better presented with longer focal lengths so that the subject would not have to be circled to draw your attention.......but they all captured more than just a mere moment or event; in a fraction of a second they captured the very essence of events that have defined who we were, who we are, and where we seem to be heading. If you live in Western Pennsylvania, or if the exhibit comes to a city near wherever you might be, you really owe it to yourself to take the time to have a look. I think it is quite interesting that even in this high tech, rapidly moving society in which we live, still images, not movies or video, seem to come to mind when we think about historic events. At least that is the case for me. As examples what I am referring to, what images come to mind when you think about the following events? Etc, etc, etc. I think it is fascinating that while most of the world would rather go to a movie than look at still images, when asked to recall major events I think people are still most affected by single photographs. Certainly there were film clips made of all these events, but that is not what sticks in our minds. The only exception I can think of offhand is the Kennedy assasination and the Magruder film. However, the reason for that may be the subsequent use of the film as forensic evidence and its use to try to suggest second assasins and the like. The ability of the single frame to freeze time, convey emotion, and to stick with us is, to me, a truly amazing phenomenon and testimony to the potential power of a photograph. Despite being 'old' technology, the single image has not been displaced by movies or video. The true challenge is for each of us to discover how to harness the power that can be had in a single frame. And I suspect that method is going to be quite different for each of us. Nonetheless, it is clearly the goal to which we all aspire.